March in northernmost Israel. The Golan region is spectacular. This trail that we are on is lined with wildflowers that are mostly all new to us. 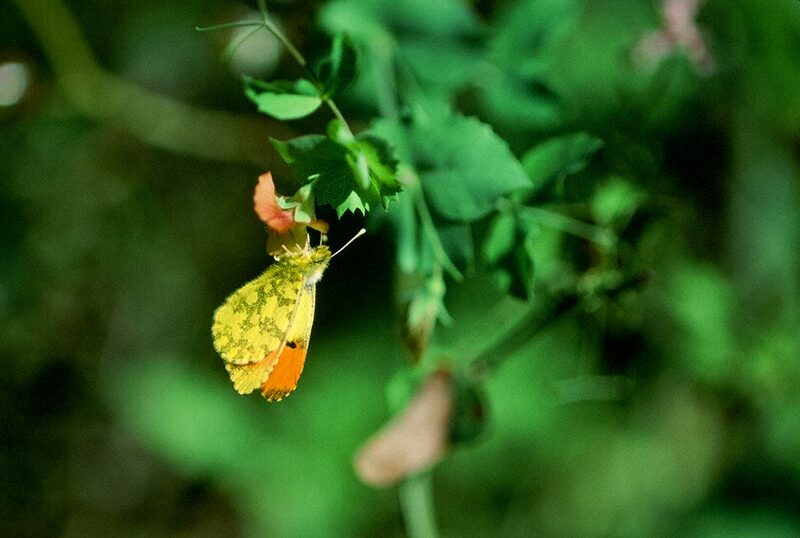 Our Anthocharis Damone Syra butterfly was not the first that we saw that day. It was the first to stop and nectar. That was good. He was such a sweet treat to the eyes. As the yellow butterflies in the U.S., he came barreling down the trail, likely searching for a suitable female mate. But being a sensible fellow, he attended to his need for the nectar and protein that will fuel the many hours of flying that were ahead of him. Travelling away from your home is such a rush, butterflies you have never imagined existed flying toward you…OMG! What’s that? Over and over again. As with our Anthocharis Damone Syra. What is it’s English name? Quien sabe? My field guides don’t share that.